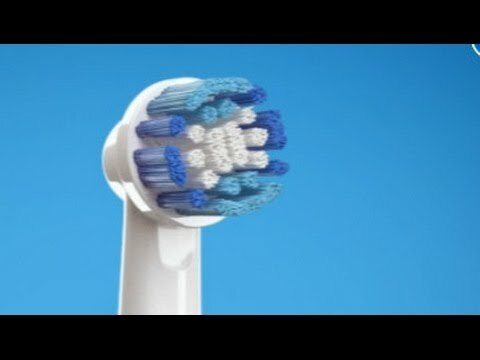 What are Oral B Precision Clean brush heads? These Oral B Precision Clean brush heads are replacement brush heads that you can use with your Oral-B electric toothbrush. They provide an everyday way to deep clean between your teeth, cleaning tooth by tooth for a superior clean. Perfect for those who want to feel like they’ve cleaned every part of their teeth. Which toothbrushes can these brush heads be used with? How does the Oral B Precision Clean toothbrush clean my teeth? The shape of the Oral B Precision Clean toothbrush head is designed to surround each of your teeth as you clean. This makes sure that it reaches between your teeth and clears the plaque built up in those hard to reach places. It’s designed to clean more plaque from your teeth than an average manual toothbrush. What is the difference between an electric toothbrush and a manual toothbrush? Toothbrushes are designed to remove plaque build up from your teeth, making sure your teeth and gums are clean and preventing tooth decay. Many people think that electric toothbrushes are better than manual toothbrushes as they make brushing easier, so you can remove plaque more effectively. Some electric toothbrushes even have a timer function, helping you to be sure that you’ve brushed your teeth for the best amount of time possible. When should I replace my electric toothbrush head? Dentists recommend that you replace your toothbrush or electric toothbrush head every three months to be sure that you’re cleaning your teeth most effectively. These Oral B Precision Clean toothbrush heads have bristles that fade halfway over the course of three months so you can see when it’s time to change your brush.